As much as I want to complain about the heat and heavy rain, the garden seems to enjoy it. 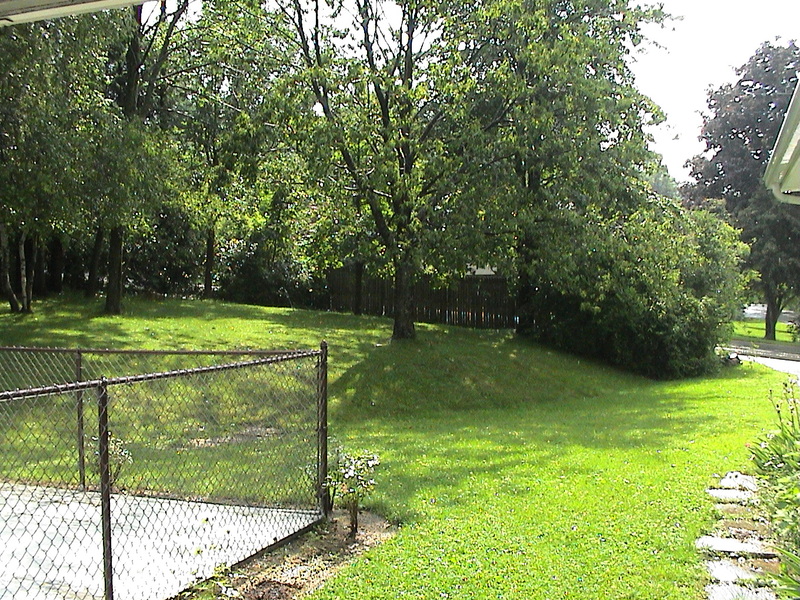 The lawn that I haven’t invaded with extended garden yet is lush green. Vegetables and flowers are growing profusely. Except for tomatoes, the heirloom types don’t do well at all. And insects, they follow their food in. 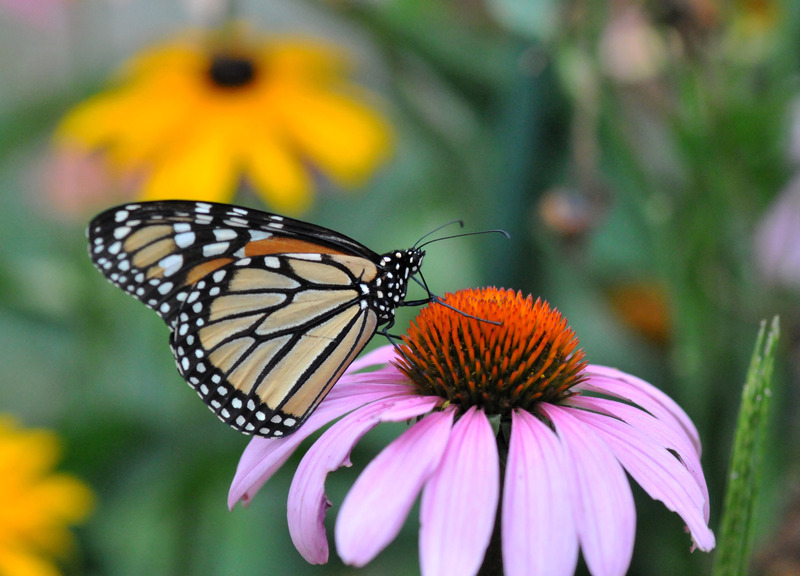 We are happy to see more Monarch butterflies (Danaus plexippus) this year. They are not just visiting the flowers, they also mating, laying eggs and producing a new generation in our garden. I keep checking underneath Milkweed leaves for their eggs and caterpillars. I found some eggs but it’s hard to look for caterpillars especially when they are small. They are very good at hiding. But, I did find some…. Seeing them in all stages in our garden makes us happy to be contributing to slowing down their possible extinction. Hopefully they can make it safely back to Mexico for their winter hibernation. 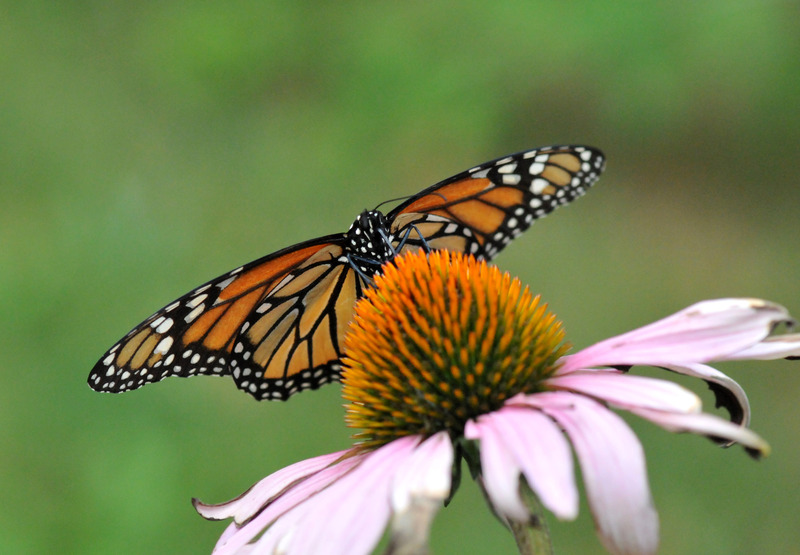 The population of Monarch butterflies (Danaus plexippus) has been dwindling down to a point of concern that they may be heading toward extinction. With a small patch of garden, we try our best to help them by letting the Common Milkweed (Asclepias syriaca) grow. 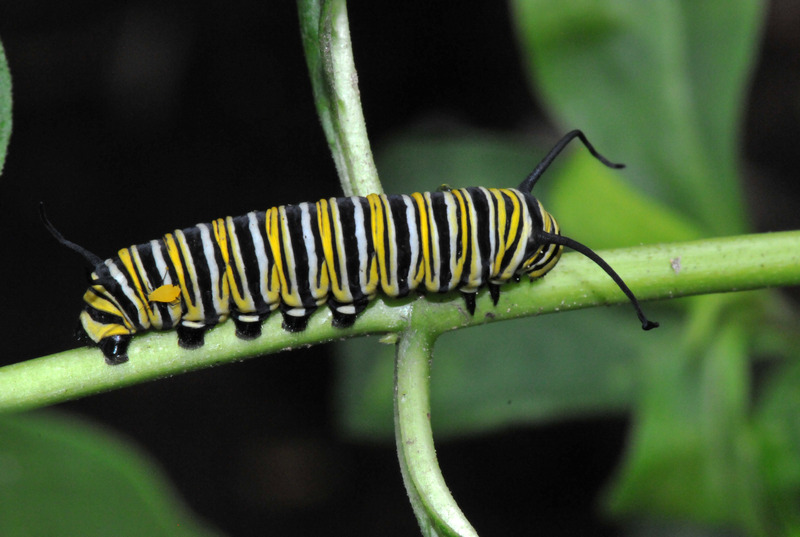 It’s the only plant that Monarch caterpillars eat. I didn’t grow the first milkweed. It came to our garden around three or four years ago. The seeds are airborne but I had not seen any milkweed around our area then, but I may have overlooked it. Though it falls in the ‘weed’ category, I let the first one grow anyway. Then I fell in love with its fragrance. The first lone milkweed has grown into a large patch now and we try to keep them confined to one spot. They can be pretty invasive; every spring I have to pull out the ones that sprouted in the middle of the lawn or flower plots. We also let them grow in the spots that are out of the way so as not to over-crowd the other plants. Aside from enjoying its fragrant and beautiful flowers, it’s also host to a variety of insects both friend and foe of the garden. 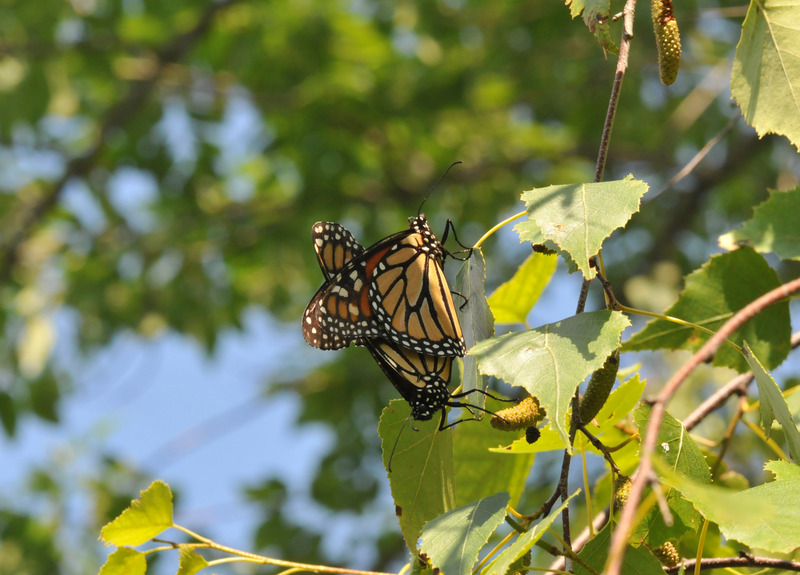 This year we are seeing more Monarchs so we have started to monitor them more closely. It has taken us a few years to be registered on their homing GPS as one of their destinations. I guess they decided that our garden is a reliable food source for their caterpillars and young adults so they lay eggs. We were so happy and excited close to the point of obsession. We checked on them everyday! Only a few of them survived. I don’t know who might eat them. Most likely wasps have taken them for the future youngsters in their burrows. But a few are better than none. Hopefully the ones that were born in our garden survive the long flight to Sierra Madre, Mexico, and the winter to tell the next generation where our garden is. An article in the Opinion Page of The New York Times last Sunday didn’t make me feel good about the direction of our environment. The article ‘The Year the Monarch Didn’t Appear‘ by Jim Robbins mentioned that the population of the Monarch butterfly has dwindled so much that not many of them have made it back to Mexico, their winter home, this year. I have seen only two Monarchs in my garden this summer where I used to see dozens of them. The second one I saw was very late in the season when the weather was getting a little cold and it seemed confused. I knew it wouldn’t make it down south. It’s not just the Monarch population that has been diminishing, the bees both native and honeybees have also disappearing. The disappearance of these pollinators has direct effect on our food supply, not to mention our next generation may not have a chance to see some of them in real life. It will be just like some of us having only learned about certain species from books and documentaries. I am neither an environmental nor political activist. I’m just an ordinary hobbyist gardener who enjoys wildlife and likes co-existing with nature. 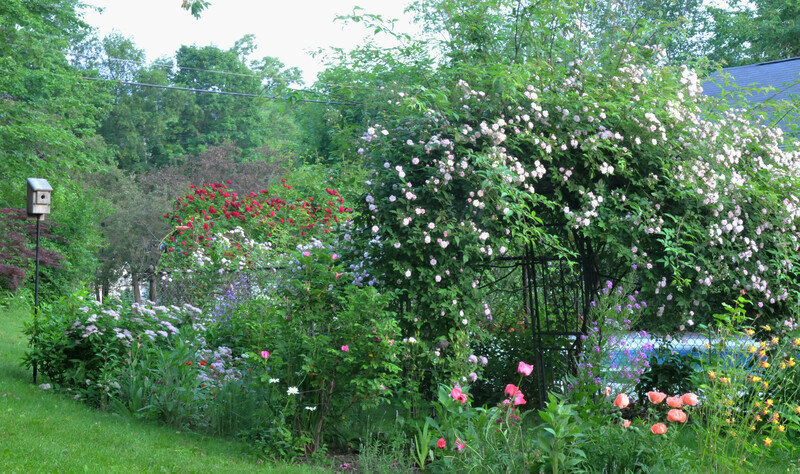 My little garden may not be much compare to acres and acres of conventional farmland. However, it is an oasis for many life forms searching for safe food and shelter in the middle of factory-farmland and chemically loaded gardens desert. 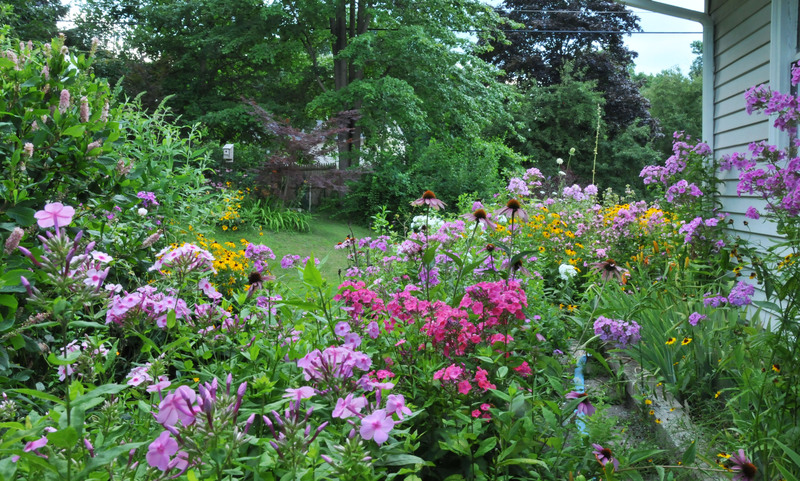 I started gardening organically since I moved here and converted a lot of the lawn to flower and vegetable gardens. I’ve seen an increase in the variety and population of birds and insects in the garden. It is satisfying to see some birds stay with us during winter and some stop by during their migration, and to see a new variety appear each season. No matter where you are on this planet, you can help increase the survival of these pollinators. A little bit of help is better than nothing. Keeping the earth healthy by having a balanced, non-toxic environment is crucial to our survival not just theirs. Of course, it’s not finished yet. But true gardens never are. An article in The New York Times yesterday entitled Monarch Migration Plunges To Lowest Level in Decades by Michael Wines leaves me saddened and disappointed. Though the article mentioned that it’s “due mostly to extreme weather and a change in farming practices in North America.” It doesn’t matter whether it is caused by the weather or farming practice, we can help slow the pace of extinction. With the extreme weather, we may not be able to do much as individuals aside from trying not to leave too large a daily carbon footprint. Maybe the planet will warm up a little bit more slowly. But do we really need to get rid of every single Milkweed in America’s conventional farming area? Do we need to genetically modify our vegetables to have resistance to herbicide so we can keep spraying chemical over the whole area to get rid of the weeds? 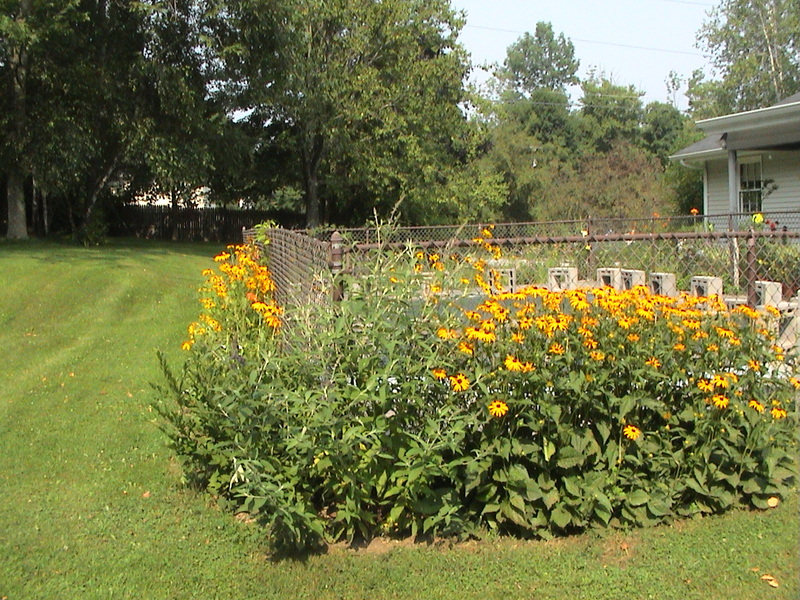 We have always had Monarch butterflies (Danaus plexippus) in the garden. It’s an official sign of summer when we see them in our garden. They travel up from Mexico, their winter gathering place, every year. It takes them two generations for their trip up north, but only one generation flying back. 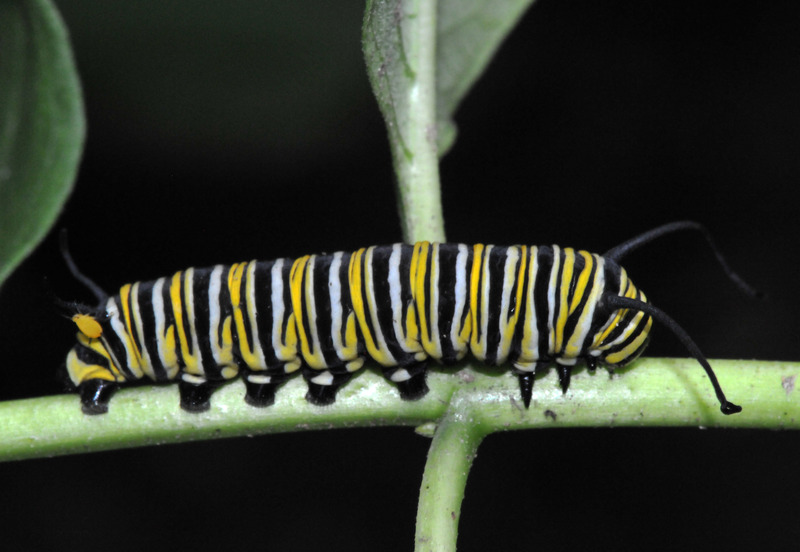 I’ve learned that their population is in decline since we humans have been eliminating their caterpillar favorite food source – Common Milkweed (Asclepias syriaca). Industrial farming indiscriminatingly kills all the weeds along their flight path. I know Milkweed is very invasive and poisonous if you eat it raw. The milky sap that oozes out of a cut on one will make you itch if it get on your skin. However, I’m not ready to see the Monarch butterflies pushed toward extinction. I don’t know how the first Milkweed got in to our garden, but I had tried to get rid of them too. Not much of a success; they keep coming up every spring wherever the roots have spread. Once I learned that the well being of the Monarch population depends on this weed, I changed to digging them up and replanting them along our property. This year is the third year I have been doing that. The Monarchs have shown their appreciation for the first time this summer. They mate in the garden. I guess they have learned that they can depend on our garden for the survival of their young. Since I saw them mating, I’ve been checking the Milkweed every couple of days. Finally, they made me really happy today. I found two caterpillars with bright yellow, white and black stripes munching on the Milkweed. Just the sight of them made today a perfect day! 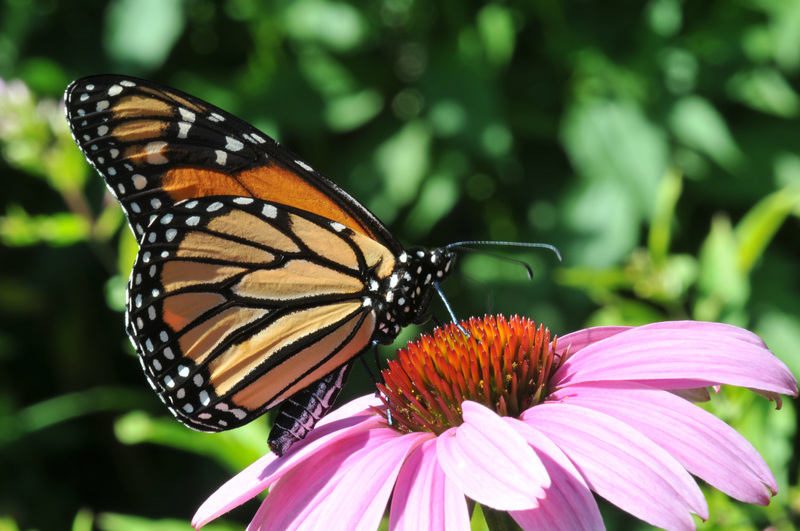 Monarch taking nectar from an Echinacea flower. They decided to start their next generation in our garden. Monarch caterpillar on a Milkweed stem.